Here comes another experiment in my Natural Dyeing Series. 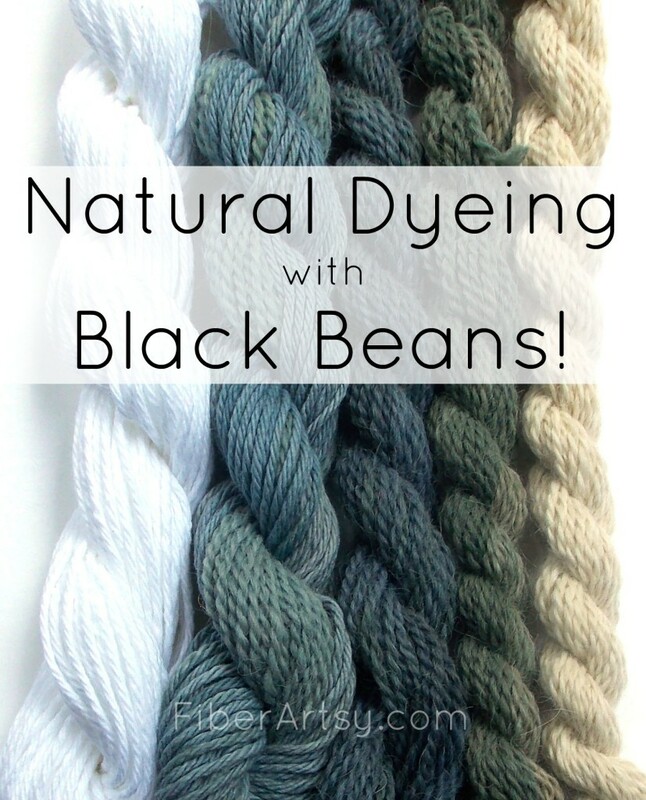 Did you know that you can dye fabric and yarn with food? Before the invention of synthetic dyes, people dyed all of their fabrics and yarn with natural things like tea, onion skins, red cabbage and other plant materials. 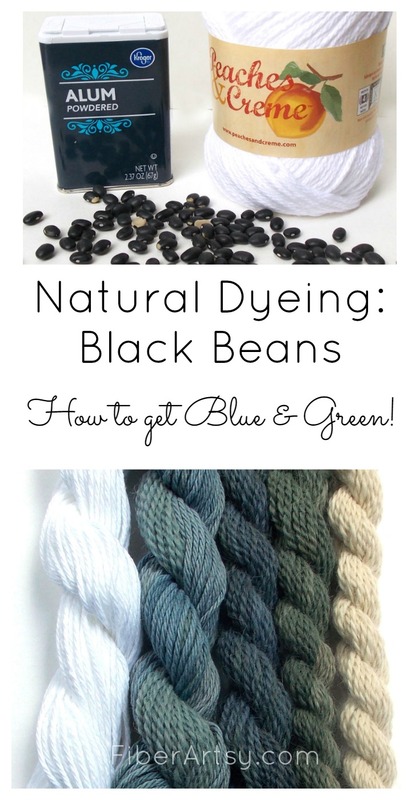 So, let’s try natural dyeing with black beans. 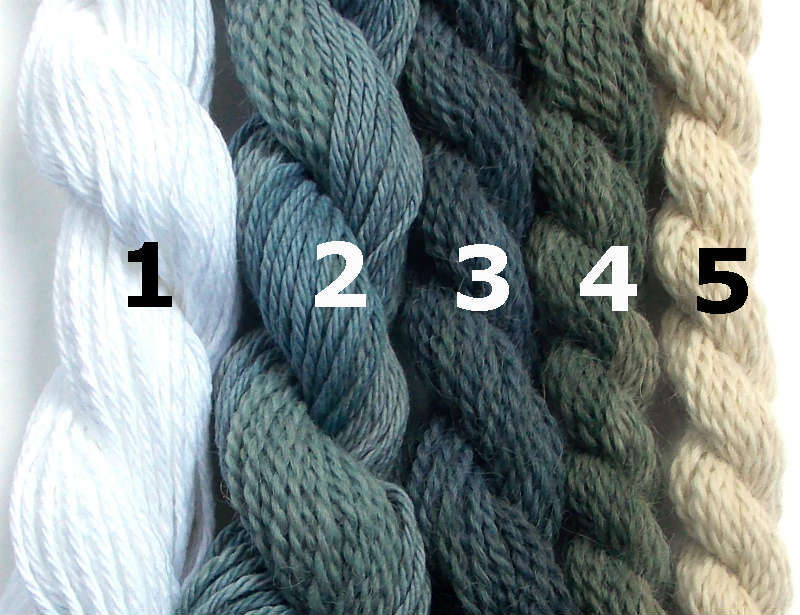 There seem to be a lot of differing opinions on the correct amount of mordant to weight of yarn so I kind of averaged it out to about 8-10% alum. Dissolve your alum in a disposable container with hot water. Fill the dye pot about half way with warm water and add the pre-dissolved alum. 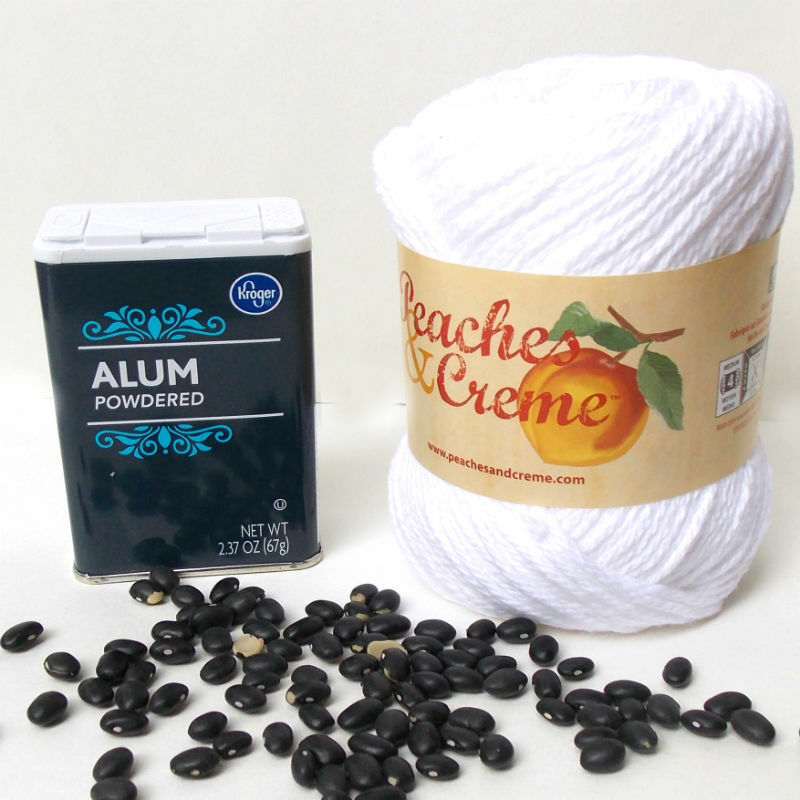 Add the yarn or fabric and bring the water to a light boil. (At this point, you want to stop stirring. Wool fiber will felt with agitation.) Simmer about 45 minutes. Turn off the heat and allow the yarn to cool to room temp. Now, you can either let it dry for later use or immediately move to the dyeing phase. I did a natural dyeing experiment in high school. Now I wish I’d kept the yarn! Hello! I definitely look forward to trying this tutorial! SInce you mentioned that the colors will fade in sunlight, isn’t there something you can add to prevent this? I remember during a summer camp, we made tye dye shirts, an added something to the shirts before we added the dye to prevent it from fading. I still have the shirts and they are as rich as ever! ( Even after fourish Years! ) I unfortunately don’t remember what it was called, but I’m sure with research it can be found again. I don’t know if it will work on yarn, but it will work on cotton fabric. That was probably soda ash which is used with a lot of fabric dyes. 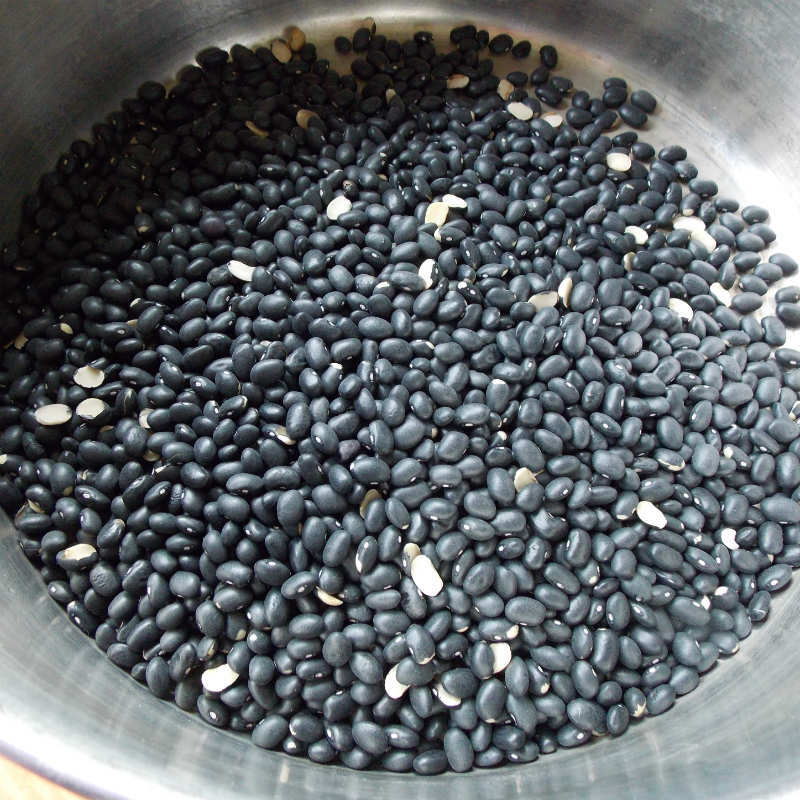 It can be added as a mordant for cotton which would help. Unfortunately tho, most natural dyes will fade eventually. There are a few exceptions, like black walnut but the majority are not colorfast.